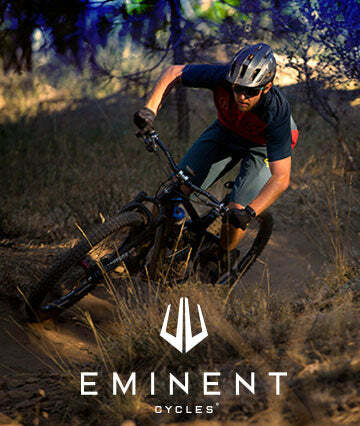 The Eminent Haste is this new bike maker’s initial entry into the MTB scene, and its name gives clear indication of its intentions. It’s the product of company founder Jeff Soncrant, who spent years riding in Santa Cruz and Southern California, ultimately finding himself wanting a bike that was not available for purchase. What happens when a passionate engineer gets really, really motivated? The Eminent Haste comes to life. It’s a 27.5 trail tamer with 160mm rear travel, 170mm up front, and a slack 65.5-degree headtube angle. Seat tube angle is 73 degrees, and chainstays measure 442mm across the five frame sizes on offer. Read on to learn more and find out how it performed on the trail.